David J. Marks is coming to Woodcraft, Saturday, January 21st for a FULL DAY of 'Creative Bowl Turning & Techniques'!! Eric is offering a 20% discount to WBW members. A collection of gifts, a tree with ornaments, a table with food and a group of hungry woodturners with spouses and friends is all it took to make a great holiday party. 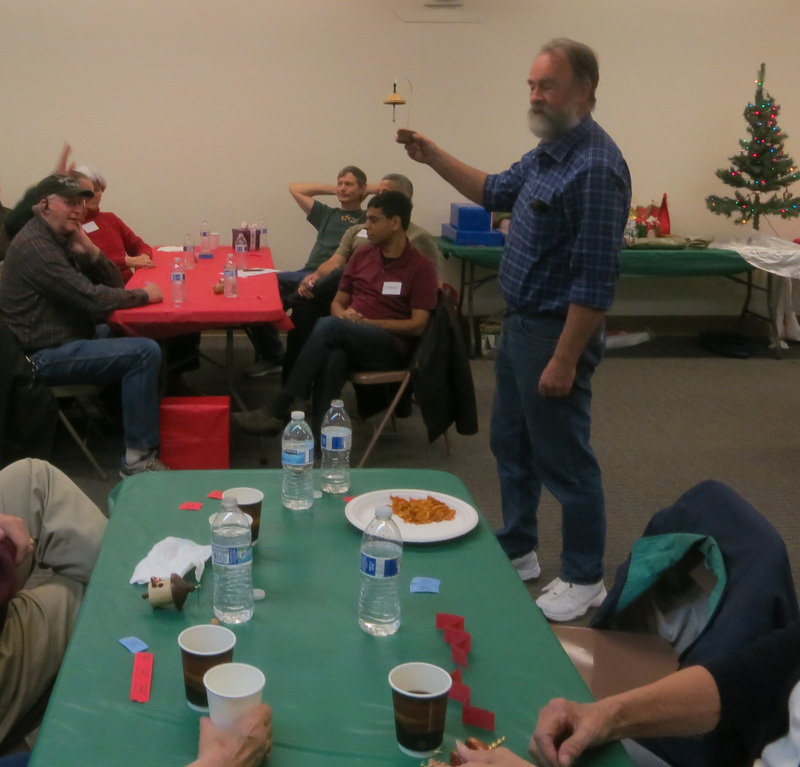 Appetizers were served at 6:30, dinner at 7 followed by the ornament raffle and gift exchange. The ornaments and gifts were of very high quality, evidence of much effort and skill on the part of the contributors. Click here for a photo collage of ornaments. Click here for photos of the gifts exchanged, the exchangers and the exchangees. We are still in need of a program manager for the monthly programs. Programs are the core of our monthly meetings which makes the program manager's job one of the most important. Dave Vannier has done the job over the last year. On top of all the contributions he has made, it is not appropriate to ask him again. Similarly, the other members of the board already shoulder much of the work of the club. It is time for someone else to step up. Please think seriously about how you can contribute. We have Jan and Feb planned. Adding in the ice cream social, summer BBQ, and the Dec pot luck leaves us with only 7 programs to define. 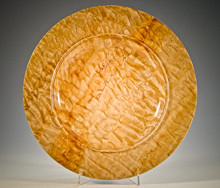 That is a do-able task and with all of the local woodturning talent, programs should be easily arranged. Mostly the job is just making sure the logistics are followed up. having the lathe and other equipment at the church makes it a fairly easy job. If you are unable to contribute, then please let us hear your voice. Suggest ways to deal with program implementation. Suggest program ideas which may make the program manager's job easier. If you have a program you would like to see but don't know who could do it, please drop an email to one of the board members for discussion at the board meeting planned for Jan 17th. If you know who you would like to see give the program, add that info or volunteer to coordinate the logistics. If you are willing to step up and be the program director, or more than one of you would share the job, please let us know. Questions or concerns about being able to do the job can be answered by any of the board members, or by joining us at the January board meeting. If you are not willing to put together seven programs, would you do one? Either find someone to do the demonstration or do it yourself. If we don't get someone, we are debating splitting the membership up into teams and giving you each a month. Or we could pick names from a hat. Remember a lot of little jobs being done add up to a vital club.